It’s important to note that the above benefits are only valid when reviews are properly implemented onto your company website. There are several instances of heating and cooling websites that use improper integration. An example of this would be copying reviews from Google or Facebook and pasting them onto your website. This delegitimizes the reviews because visitors won’t know if they’ve been doctored or altered in some way. Call (800) 353-3409 for website reviews integration. We mentioned the wrong way to transfer reviews from platform to website. So what’s the right way? Through structured data markup and website design, reviews can be published on your website while maintaining their original value. 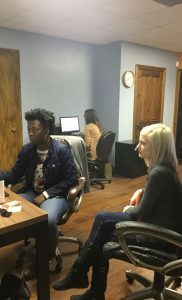 The design team at HVAC Webmasters designs each of our clients’ websites using WordPress content management system, which allows us to seamlessly integrate Google and Facebook testimonials, among others. 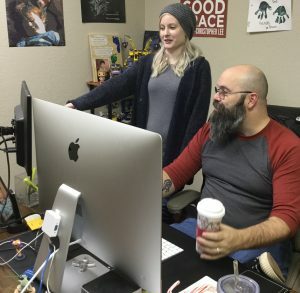 It takes a design team to make integration look professional and legitimate. There are ways to attempt it by yourself, most notably through WordPress 3rd party plugins, but some web design knowledge is still required. 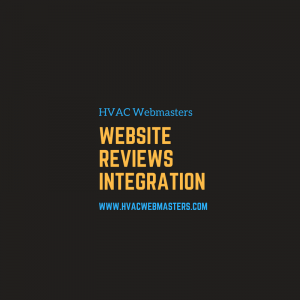 The team at HVAC Webmasters will handle every part of your online marketing plan, from reviews integration, to search engine optimization. We specialize in the heating and cooling industry, and know how to appeal to your target audience. In a market with increasing mobile usage, the world wide web is increasingly reliant on speed. Google has championed this movement with their Speed Scorecard, among other tools. In short, consumers want information, and they want it fast. Having all of your reviews in one place makes life a lot easier for users. They don’t have to sift through Google, Facebook, and Yelp, and can instead witness all of them in one place. An underrated aspect of the integration process is its impact on website performance metrics. With testimonials on your home page, users are more likely to stick around longer and read through them. This increases the time spent on page, and most importantly decreases bounce rate. Google looks at pages with low bounce rates as candidates for a high ranking position on search results. Call (800) 353-3409 for HVAC website reviews integration. Updated on April 5, 2018 at 7:18 pm by HVAC Webmasters.